The same goes for snow. If your vehicle is covered in snow or ice, it needs to be removed before driving. The snow piled on top of your car? Yep, that too. My windshield has been hit from chunks of ice/snow flying off the vehicle in front of me on the highway. Caught me off guard and startled me. 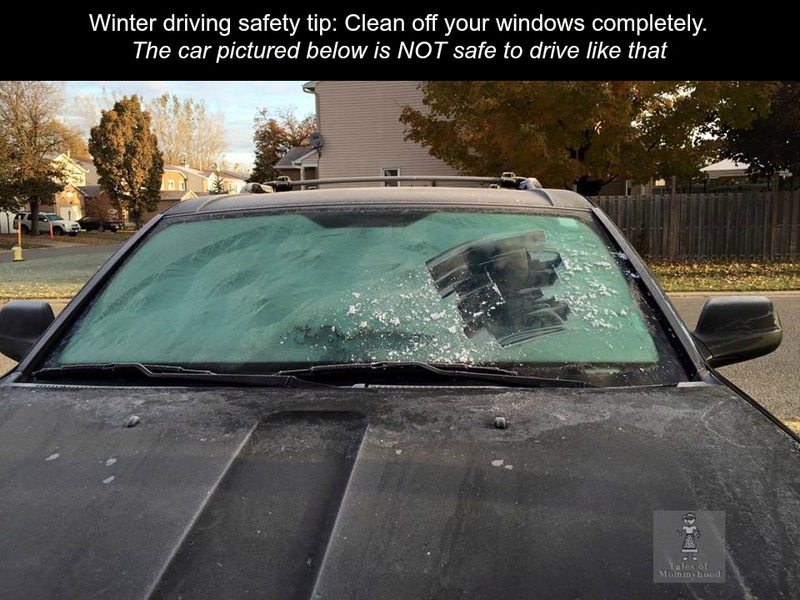 With winter on it's way and vehicles being frosted over in the mornings already, this is my reminder to all of you. It may mean you have to leave the house a few minutes earlier to have time to clean it off, or maybe you could get an auto-start and have your vehicle started and warming up before you even leave your front door. Whatever you choose, make sure to plan ahead so you can start your commute safely. It's not just about you, but others drivers, passengers and pedestrians. When I was driving for 40 years I was always amazed how people can be because they did not give themselves enough time in the morning to clean there car. It can be dangerous for you and others. Good Reminder Tip! wish more people would smarten up about this......Great post! My biggest peeve is driving behind a vehicle that has not cleared all the snow off and getting blasted by it... Grrr... I just don't understand how people can be so stupid sometimes. You would think that this would be automatic but I'm afraid that I've seen enough to know that it's not. I would also think that since winter always means snow and ice that people would be accustomed to it and yet every year I see people 'surprised' by the first snowfall and driving as if it was summertime too. Wake up people, you're not only risking your life but the lives of others too!